Over dinner at a Kyiv restaurant, Oksana, a Ukrainian journalist remarks, in Russian, that if she ever had to visit Moscow, she would address people in Ukrainian. At another gathering, Yulia, a visiting Russian, innocently suggests to Anna, a gallery manager, that it might be useful to have two passports – one Ukrainian and a second Russian. The angry response is a snap lesson in Ukrainian nationalism. Over at the white columned Ukrainian foreign ministry, when the VOA camera is turned off, a Ukrainian diplomat turns on his Russian counterparts, calling them condescending, bullying, and trapped in the past. The way Russians try to sell a customs union, he says, is to spell out the economic punishments if Ukraine does not join. No mention of the upside. On Wednesday August 24, Ukraine marks 20 years of independence. Since 1991, this Central European country almost the size of France has been through plenty of economic and political zig zags. In the latest political zig, Yulia Tymoshenko, the candidate who lost last year’s presidential election, is now sitting in jail, and, reportedly, suffering from declining health. In the latest economic zag, Ukraine has recorded 5 percent growth during the first seven months of this year, well above oil rich Russia’s growth rate of 3.9 percent for the same period. Despite the zig zags, one trend is consistent: the growth of national identity and the generalized acceptance by Ukrainians of their nation. This month, 93 percent of respondents to a poll conducted by the Research & Branding Group said they consider their homeland to be Ukraine. Much the way that Canadian identity is forged by comparisons to the United States, Ukrainian identity is forged in opposition to Russia. 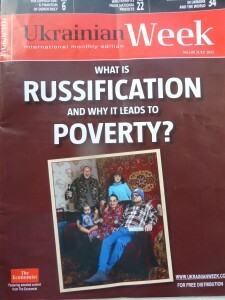 “What is Russification and Why Does it Lead to Poverty?” headlines a recent cover story in Ukrainian Week. 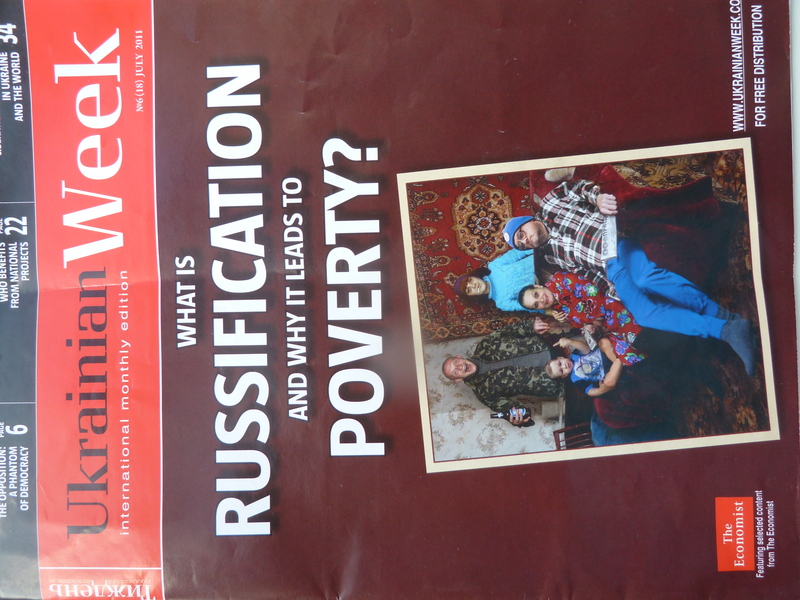 The satirical cover photo seems to portray the Gopnik family from the mythical — and backward — nation of Lower Slobbovia. There is Dad, watching TV, grimly clutching Pravda. Behind him stands Daughter, smoking a cigarette, clearly on the road to teenage pregnancy. Next to her is Son, a bullet-headed guy who joyously grips a big bottle of beer. Also seated on the couch is Junior, a precocious two-year-old who already has learned a well-known rude finger gesture. In the middle is Mom, whose frozen smile might indicate she is taking large quantities of tranquilizers. Inside, the Ukrainian Week authors walk readers through “The Anatomy of Russification” – economic, cultural and socio-political. To illustrate economic Russification, readers are treated to a photo of a stooped old woman in a Slavic shawl trudging past a shiny black Mercedes. At one stage in my reporting career, I covered Canada. There are intriguing parallels between the Ukraine/Russia relationship and the U.S./Canada one. Both country pairs were once the same entity, sharing the same legal systems and dominant languages. Eventually, the pairs went their separate ways. Today, United States has nine times the population of Canada. Russia has only three times the population of Ukraine. Few (sane) people in Washington talk about a US-Canada merger. In fact, to the chagrin of some Canadians, few Americans obsess or think about Canada at all. Many Americans are probably only dimly aware that present day Canada and the United States were all part of the British Empire, until recognition of American independence in 1783. But Russians have a different, more complicated relationship with Ukraine, a name that is often translated by Russians to mean ‘borderland.’ The forerunner of modern Russia was the Kievan Rus, an Eastern Slavic principality that adopted Orthodox Christianity in 988. For many Russians, the concept of an independent Ukraine is unnatural. How can the mother declare independence from her big, handsome son? Moscow thought it had finally scored in Kyiv when their candidate , “pro-Russian” Viktor Yanukovych, was elected president last year. But after 18 months in office, President Yanukovych has made it clear that his ambition is not to return to the czarist days when he would be ‘Governor’ of “Malaya Rossiya” – Little Russia. Similarly, Ukraine’s oligarchs don’t want to be demoted to be managers of subsidiaries reporting to Moscow. In recent months, Moscow has proposed taking over Ukraine’s aviation, nuclear, and gas transmission companies. The Kremlin keeps proposing that Russia’s Gazprom merge with Ukraine’s Naftogaz. In Kyiv, people compare that proposal to a supermarket “merging” with a kiosk. At least four times in the last year (I have lost count), Russia’s leaders have publicly invited Ukraine to join a customs union with Russia, Belarus and Kazakhstan. Some Ukrainians call this Soviet Union Lite. Two weeks ago, Ukraine’s President flew to Sochi to meet with his Russian counterpart, Dmitri Medvedev. Once again, the Russians invited the Ukrainians to join the customs union. President Yanukovych’s public response came Friday in an interview with Dzerkalo Tizhnaya magazine. I wonder when Moscow will get it. Let’s shake off August doldrums, and play a mind stretching game. Let’s imagine democratic, free market Georgia as . 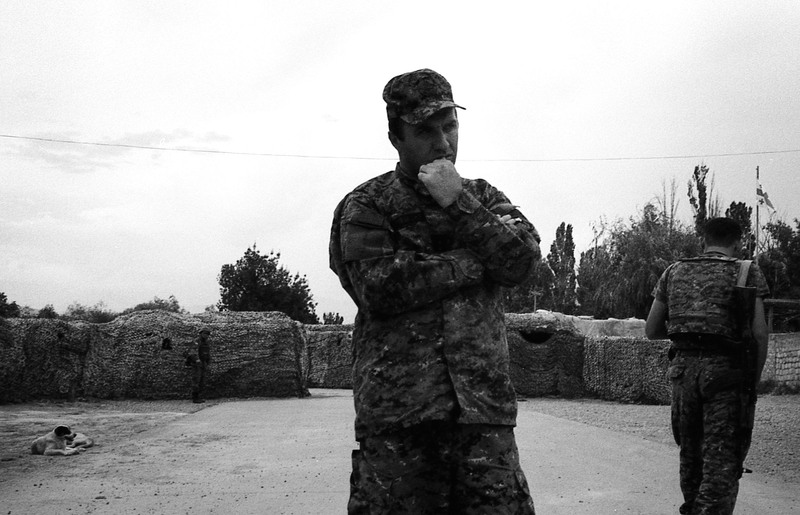 . . the Cuba of the Caucasus. For both countries, whether in the Caribbean or in the Caucasus, threat numero uno is the Colossus of the North. This Northern Empire has a long history of interfering in . . . take your pick: a) plucky Georgia b) Cuba heroico. According to the official narratives, aided only by geography — the Caucasus mountain range or the Straits of Florida — nationalist leaders in both countries are struggling to maintain culture and sovereignty in face of an overbearing neighbor. Russia has 32 times the population of Georgia. The United States with 28 times the population of Cuba. To defend the nation, a charismatic and canny leader glues his nation closely to a faraway superpower. 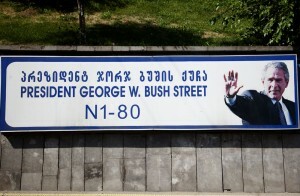 Arriving in Georgia, a traveler leaving Tbilisi’s international airport travels down George W. Bush highway, complete with a smiling billboard portrait of the 43rd President. 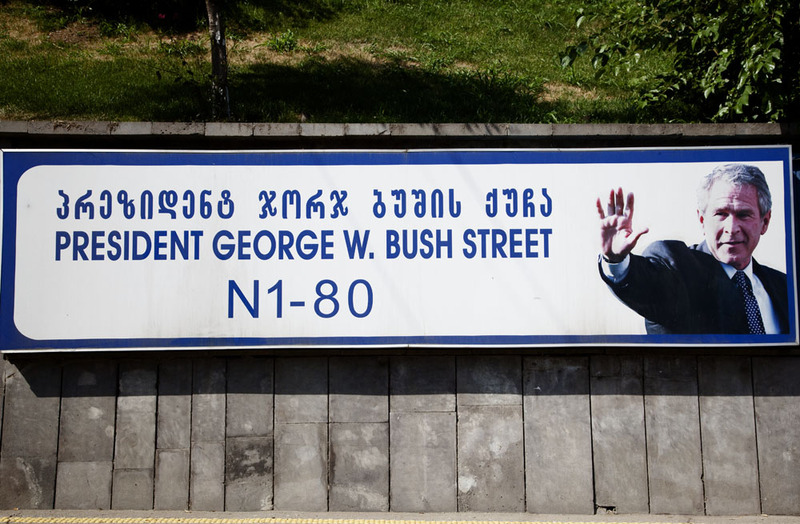 A nearby road is John Shalikashvili Avenue, named after the son of a Georgian prince who rose to become chairman of the U.S. Joint Chiefs of Staff. Across town, the massive new U.S. Embassy spreads across a large lot on George Balanchine Street, named after the American ballet choreographer whose father was a Georgian composer. For a small nation, this is a U.S. Embassy on steroids, employing about 400 people – undoubtedly far more than US missions in Croatia or New Zealand, countries with populations comparable to Georgia’s 4.4 million people. Russians might see the new building as a horizontal version of the former Soviet Embassy in Havana, a 20-story high-rise that once was the tallest building in town. In Tbilisi, a main job of the American Embassy is to oversee the distribution of American aid to Georgia. 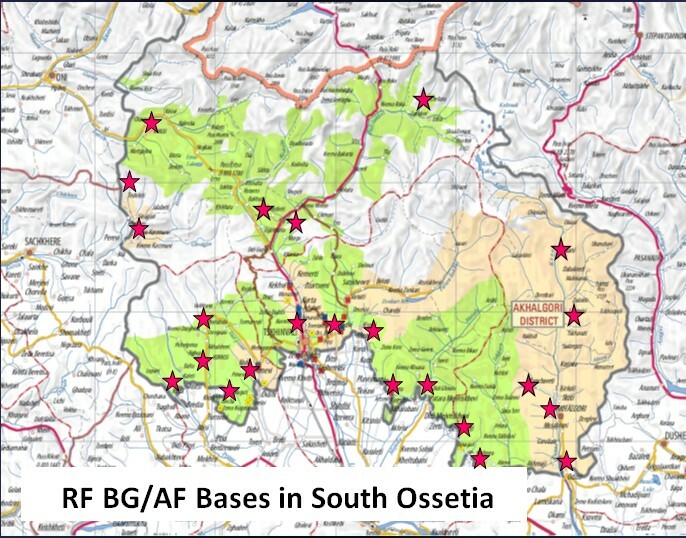 On a per capita basis, Georgia is by far the largest recipient of aid of the 15 former Soviet republics. This largesse is partly to make amends for when Washington lost control of its young ally in Tbilisi and he attacked Russian peacekeeprers on Aug. 8, 2008. Historians may find parallels between frantic U.S. diplomatic cable traffic between Tbilisi and Washington in the opening hours of the Georgia-Russia war and Moscow-Havana cable traffic during the tense October 1962 Cuban missile crisis. It is now known that Soviet Premier Nikita Khrushchev struggled to restrain his bellicose Latin ally, Fidel Castro. Generations of well-meaning Americans have tried to reach out to the Castro regime in Cuba. They seem to ignore that anti-Americanism is a key pillar supporting the Castro brothers’ rule. The day relations are ‘normal’ and McDonald’s plants its flag in Havana will likely be the beginning of the end of Castroism in Cuba. Similarly, Russo-phobia is a pillar of President Mikheil Saakashvili’s government. 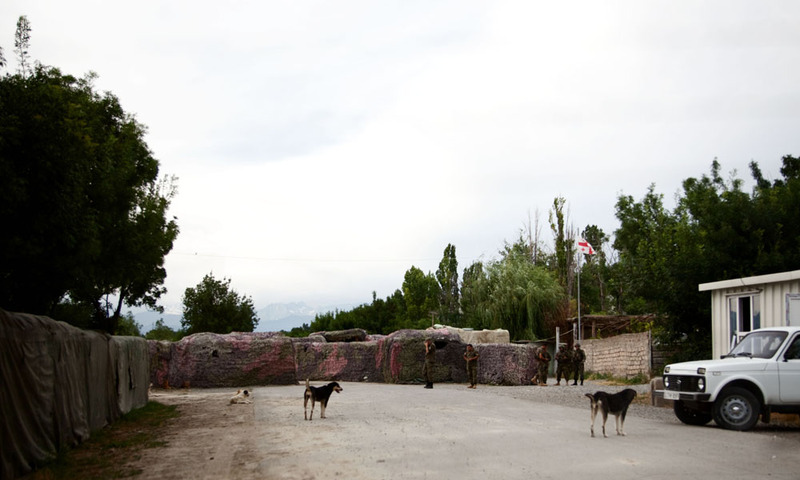 In the last year, World War II monuments have been blown up or removed from Georgian cities. A new law calls for excising all Soviet symbols from public places, down to the five pointed stars on wrought iron bridges. On Tbilisi’s showcase Rustaveli Avenue, there is a Museum of Soviet Occupation — an ideological mirror of Cuban museums devoted to imperialismo yanqui. Georgia is closing Russian language schools “for lack of demand.” Russian language TV, Radio and public signage are severely restricted. 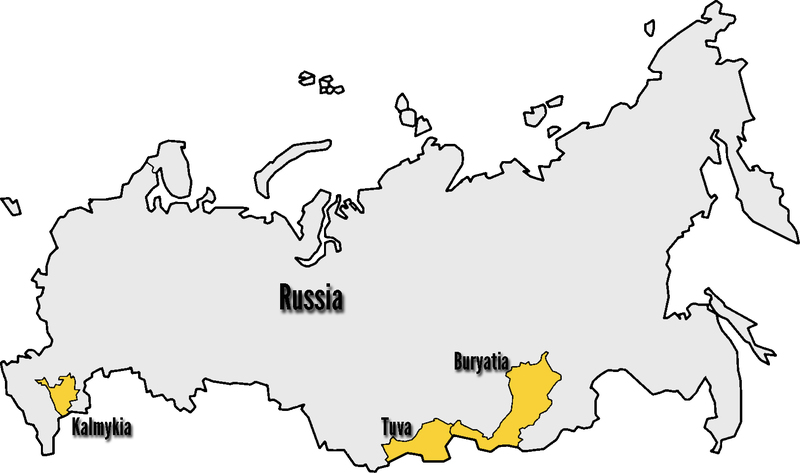 As a result, post-Soviet Georgians, those under 35, speak Russian poorly. 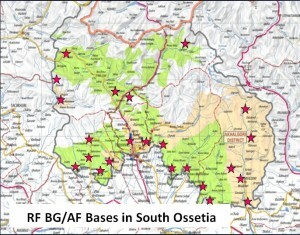 When diplomatic relations are one day restored and Georgians can travel north again, they will have a hard time communicating with their estimated 500,000 ethnic cousins living in Russia. Instead of learning the language of the neighborhood, Tbilisi has mandated that all school children learn English. A literacy corps sends young American and British English teachers to villages across this land, which is about the size of Ireland. While English is nice, Britain, the closest, major English speaking country, is 3,000 kilometers to the west. Russian is still the lingua franca used by most of Georgia’s neighbors and tourists, with Turkey being the exception. In a parallel linguistic anomaly, it is not hard to find people in Cuba, generally over 40, who speak good Russian and no English. Not very useful, given the neighborhood. While Georgians (read Cubans) complain about the unfair trade embargo imposed by their heavy handed neighbor to the north, they do not seem in a hurry to do anything about it. High atop a government office tower in Tbilisi, I asked Vera Kobalia, Georgia’s Canadian-trained Minister of Economy, about Georgia’s inability to sell its famous wines and mineral waters in Russia, historically Georgia’s primary market. The Minister’s blue eyes glazed over. 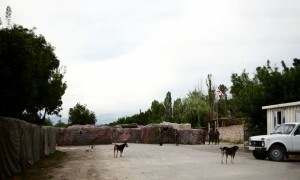 She repeated the party line that the Russian embargo has actually been good for Georgian wines, that they have improved labeling, and raised quality to European Union standards. Actually, one big beneficiary was me. Pushing a cart through a Tbilisi supermarket, I stocked up on six bottles of excellent dry white wine for the trip back to Moscow, paying the Georgian lari equivalent $50. Commercial quantities of Georgian wine would be very welcome in Moscow. There, supermarkets peddle bottles of third rate European wine for $20. Restaurants serve miserly glasses of the same product — for $12. In both Cuba and Georgia, a charismatic president has used his charm and charisma to work political magic with visiting foreigners. Where Fidel use to wow visiting Europeans and Canadians with boxes of Havana cigars, Georgia’s “Misha’ Saakashvili has been known to helicopter foreign visitors from skiing in the morning in the Caucasus to swimming in the afternoon in the Black Sea. In between, Georgia’s leader can offer some of the best food and wine east of Italy. Speaking fluent American English honed in New York City, Misha makes visiting American congressmen or TV correspondents feel right at home. His heartfelt attacks on Russian expansionism are music to the ears of a generation of Americans who came of age during the Cold War. In a similar note, Fidel Castro’s rants about the American-controlled enclave at Guantanamo or the failed American-supported invasion at the Bay of Pigs long struck a chord among Latin Americans who felt historically stepped on by the United States. Where Castro’s often used his Latin charisma to out-maneuver the gringos, Saakashvili uses his Georgian brio to out-charm Russia’s Slavic leaders. 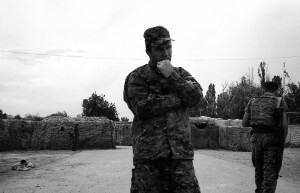 In August, 2008, the Russians easily won the shooting war. But they were soundly defeated in the PR war. Now, the north-south enmity is personal. 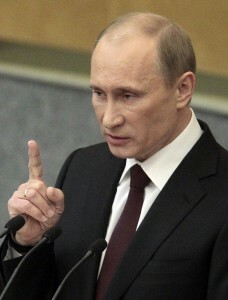 During the war, Prime Minister Vladimir Putin said he would like to string up the Georgian President by his private parts. 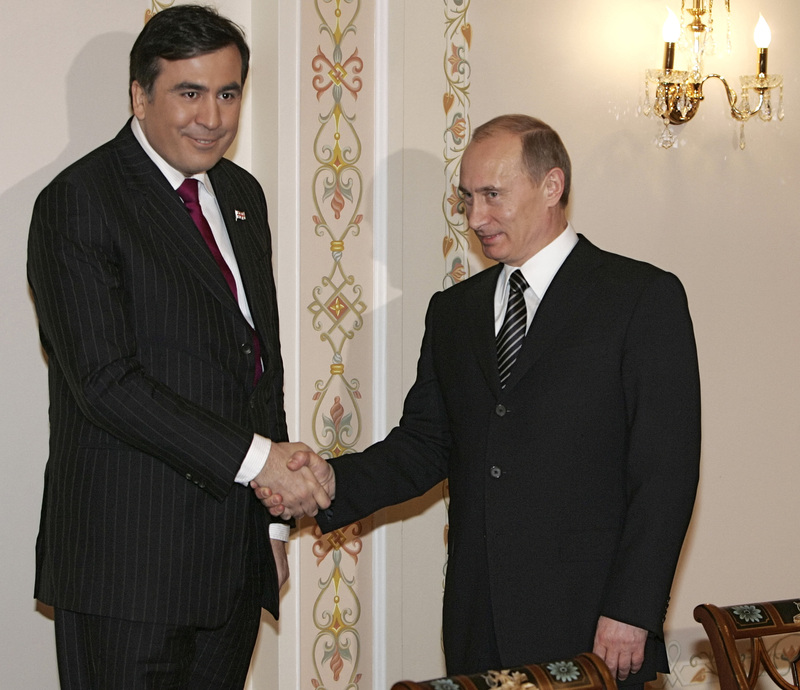 For his part, President Saakashvili has referred to the Russian Prime Minister as “Lilli-Putin” — a reference to the Russian leader’s short stature. On the August 8 war anniversary, Russian Foreign Minister Sergey Lavrov chimed in, calling the Georgian leader a “pathology and anomaly.” Then, Russia’s top diplomat cast aspersion on the Georgian’s mother, calling him “clearly a very badly brought up” person. The school yard taunts sound familiar in the Western hemisphere. Instead, Fidel Castro almost outlasted Queen Elizabeth as head of state. Since Russia is not a democracy, it is highly unlikely that it will have a variety of presidents in coming years. Many analysts believe Prime Minister Putin will return to the presidency next year, putting Russia on course for the Putin quarter century. 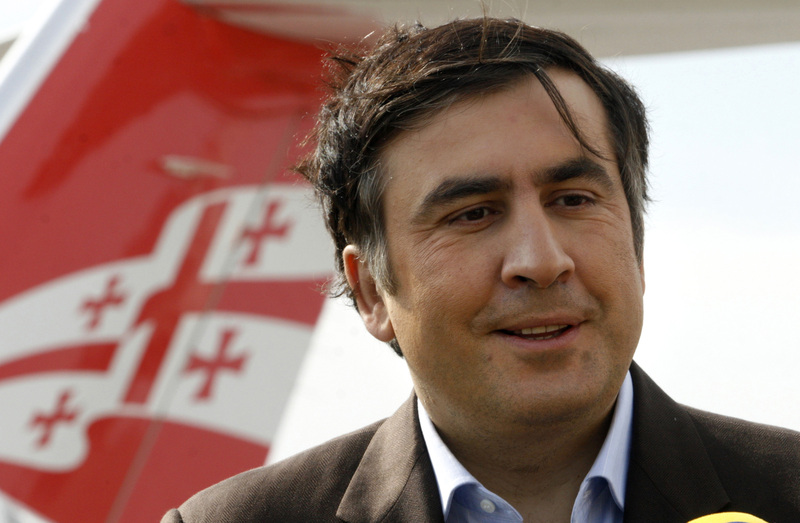 South of the border, President Saakashvili may take a leaf from his arch-nemesis’ book. He has engineered a constitutional change that creates a strengthened prime minister in January 2013, just when his presidential term expires. The Georgian leader may well “pull a Putin:” switch titles but keep power. Echoing the 50-year string of American presidents who failed to get rid of Fidel Castro, we may have only seen a few chapters of what could be the long running Misha and Vlad show. But then again, Georgia and Cuba are worlds apart. Game over. The rain was light. The winds were moderate, And the waves were only one meter high. Russia’s shipping tragedy last week was a perfect storm — of human error. 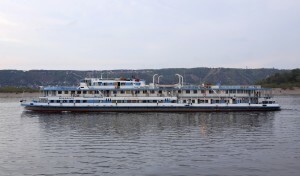 The Volga riverboat ‘Bulgaria’ was designed to carry 140 people, but it was loaded with 208. Most of the 59 children seem to have been waved on board without tickets. Almost two thirds had the same birth date: Dec. 30, 1999. Launched shortly after Stalin died and last overhauled in 1980, the 56-year-old ‘Bulgaria’ was no longer licensed to carry passengers. But, oddly, on June 15, a Russian river inspector signed off on its seaworthiness. 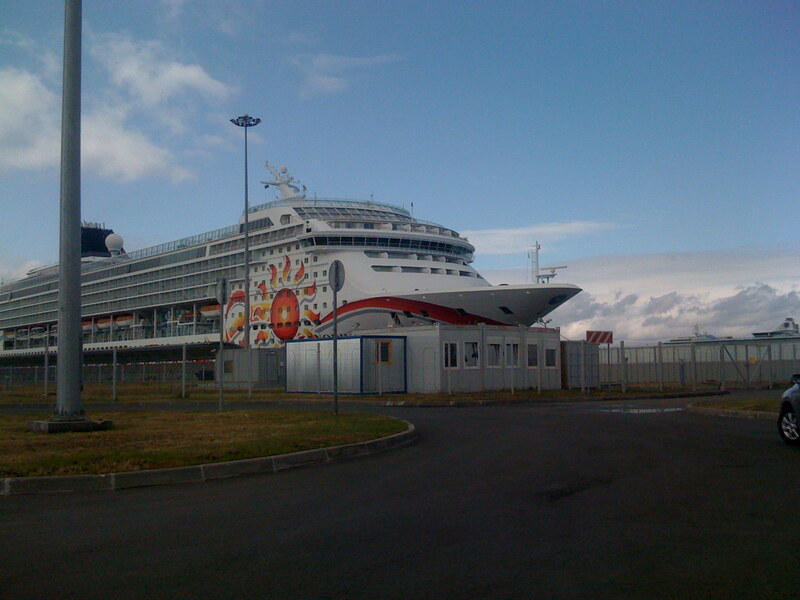 One of its two engines, on the port side, was broken. The ship listed to starboard, possibly because all the diesel fuel had been pumped into starboard tanks. 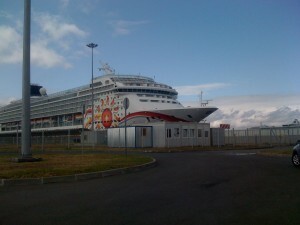 At the dock Sunday morning, some passengers and crew told the captain, Alexander Ostrovsky, that the ‘Bulgaria’ should not sail. Out on the Volga, it was a sweltering hot Sunday afternoon for passengers in a vessel constructed before air conditioning. To cool off, passengers and crew opened all the portholes in the low slung river boat. 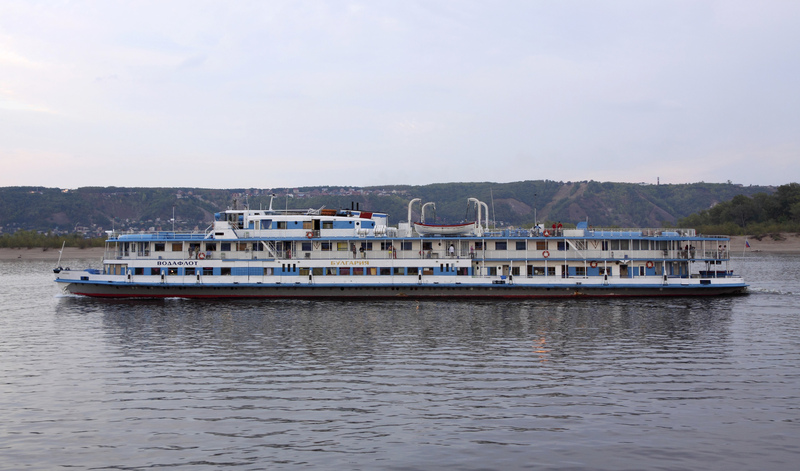 Once in the middle of the Volga, Europe’s largest river, the captain decided to turn his listing boat. A wave caught it broadside. With party music still blasting from loudspeakers, the ‘Bulgaria’ sank in three minutes. For the next 90 minutes, dozens of survivors floundered in a diesel slick, three kilometers from shore. Although there were cases of heroism, the captains of two passing cargo boats are now under investigation for not stopping to rescue drowning passengers. Of the passengers, 80 percent of the men, 32 percent of the children, and 26 percent of the women survived. The captain, his wife, and their children drowned. This weekend, cranes are to start lifting the cruise ship off the river bottom. The dark tragedy of the ‘Bulgaria,’ with 129 dead or missing, evokes the kind of tale I would hear from the upper reaches of the Congo when I worked in Africa in the 1980s, or of the Amazon when I worked in South America in the 1990s. Unfortunately, it is now emblematic of transport in post-Soviet Russia. Twenty years ago, when communism collapsed, state owned planes and boats were up for grabs. Their new owners used them, until they sank or crashed. Of the 120 cruise ships now plying the rivers of European Russia, none was launched after 1985, the twilight years of the Soviet Union. The majority, 70 ships, were launched over 40 years ago. Last year, ‘Novaya Gazeta’ newspaper reported that 2,300 sunken boats and barges now dot the bottom of the Volga. About half were scuttled by their owners since 2007. “Poorly controlled, despite the notorious power vertical, it’s thoroughly rotten and therefore allows for operation of these leaky washtubs,” he wrote. Leaky washtubs on the waters. Flying coffins in the skies. 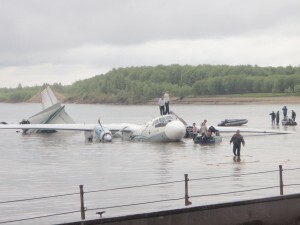 On Monday, while divers were fishing bodies out of the ‘Bulgaria,’, an aging Soviet plane flying over Siberia developed engine trouble. At 6,000 meters altitude, the left engine of an Antonov-24 operated by Angara Airlines, burst into flames. 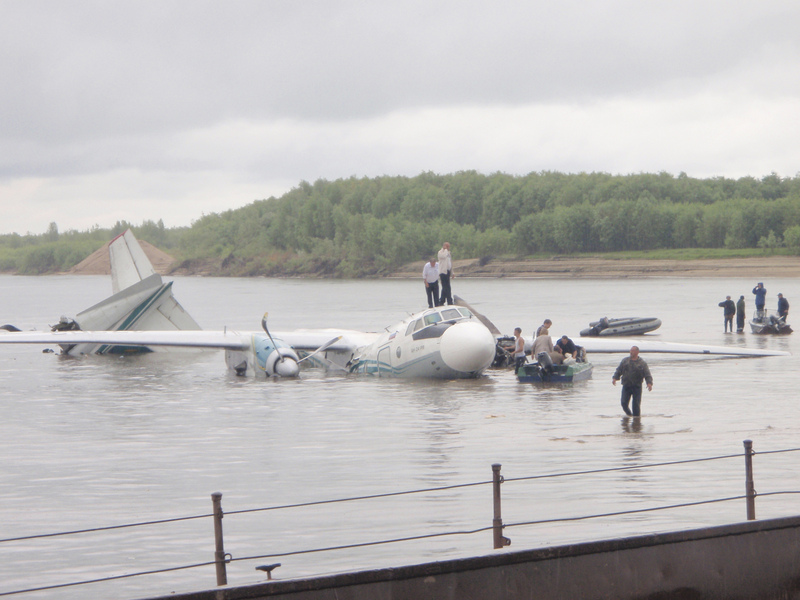 The pilot managed to bring it down for a hard belly landing on the Ob River. Seven people died, but 31 survived. Indeed, Russians now live in a state of aviation segregation. American Boeings or European Airbuses ply most of Russia’s international routes, or routes within European Russia. But most flights in Siberia and the Far East are handled with old Soviet-made Antonovs, Yaks and some Tupolevs. 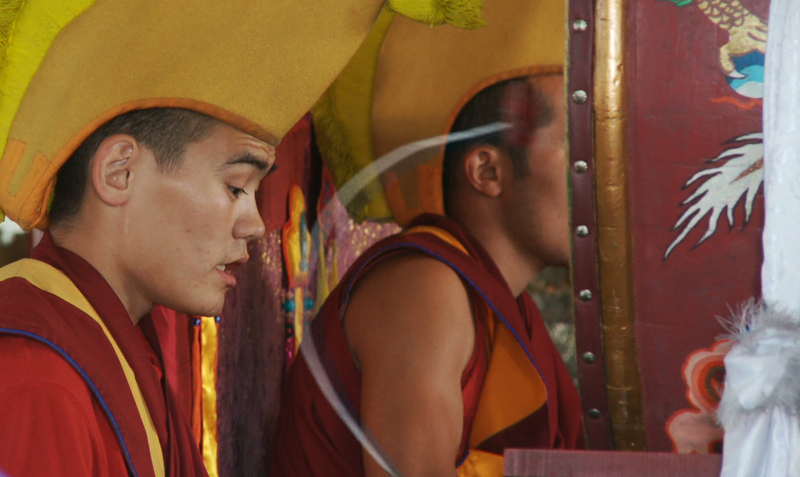 For these far flung communities, the alternative can literally be: paddle your canoe. Air company managers seem to fly the planes until they crash – and then blame pilot error for crashes. It is simplest and cheapest to blame the dead. So far about 10 percent of the Antonov 24s have been lost in crashes since production stopped in 1979. 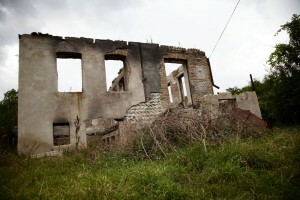 Rotting planes and sinking boats are part of a wider collapse of manufacturing that followed the collapse of the Soviet Union. Today, Russia, the world’s largest country, no longer makes the river boats or passenger jets needed to span its vast distances. Belarus: Did Kolya Bite the Stewardess? On a Sunday afternoon, Natalia and I were resting on a tree-shaded path in Minsk’s Victory Park, when she started to ask a delicate question. But she did not want to discuss it while we were sitting on a park bench. So we walked down on a shaded path, away from the baby strollers and the roller-bladers, where she touched on the topic. Well, I may be the Voice of America, but that does not necessarily make me the Eyes, Ears or Brain of America. So I had to confess – ne znaiu – I dunno. She winced. As a third year law student, Natalia knew full well that my guarantees were not worth much. Talk followed into scholarship programs for study abroad. The following Sunday, the same park was the setting for a new low for this Orwellian society where people believe there are microphones hidden in park benches and rocks. Igor Eseev, Minsk’s police chief for public security, had dictated to Belarusians when they should — and should not – applaud during July 3 Independence Day celebrations. In a nation where all form of public protest is banned, citizens started last month to unexpectedly clap in public places. Times and places circulate through social networks. In advance of Independence Day, the Belarus government temporarily shut down access to social networking sites like Facebook, Vkontakte, and the Belarussian language site of Radio Free Europe. 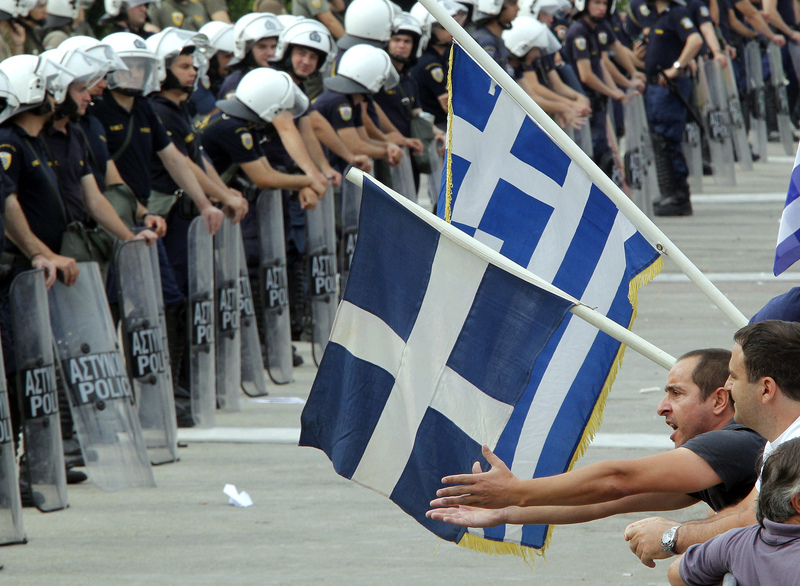 The protests are not just fueled by unhappiness over living in Europe’s last dictatorship. Belarus also is in an economic free fall, suffering a 50 percent devaluation of the local ruble earlier this year. Facing collapsing living standards, Belarusians this summer are tearing out the lawns in their dachas to plant potatoes. Following through on their threats, police arrested almost 400 people in four Belarusian cities on Independence Day. Caught clapping their hands at times and places deemed subversive, many were charged Monday with petty hooliganism. Some hand clappers paid fines; some won sentences of 15 days in jail..
On Minsk’s Victory Avenue, on the edge Victory Park, where Natalia and I had strolled one week earlier, plainclothes policemen dragged several people away from the crowd of parade viewers. 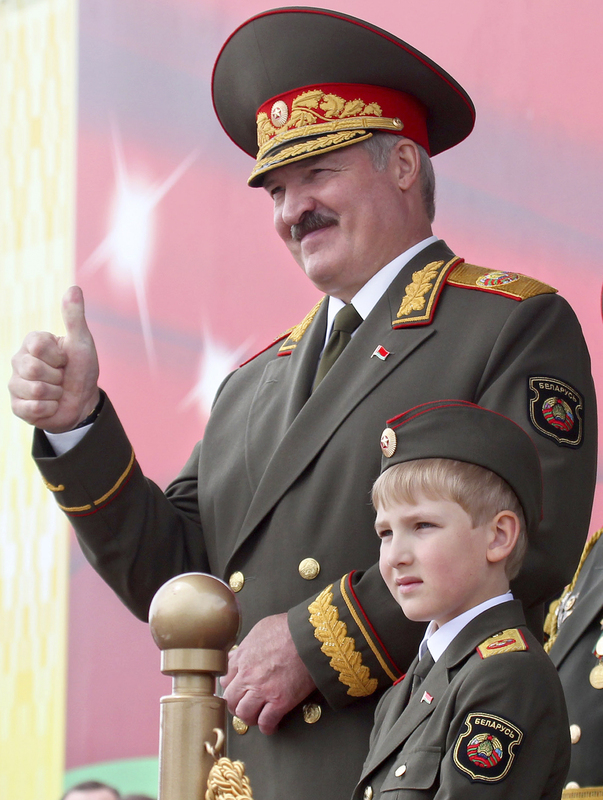 They were deemed to have clapped inappropriately when President Lukashenko appeared on the parade reviewing stand, accompanied by his son, Kolya. Greece and Belarus are two largely Orthodox Christian nations in Central Europe. Both have roughly the same size populations. And both, according to international bond ratings agencies, are now virtually bankrupt. For almost a year, Belarus President Alexander Lukashenko has asked for $8 billion in aid from Russia, his partner in a customs union. Last week, the check finally arrived — for $800 million. (And $42 million of that was to come straight back to Moscow to pay Belarus’ overdue electricity bill. This money did not come back, and Moscow turned off the power on June 29). And like any good banker, the Kremlin tied the loan to property that can be seized. In this case, the aid money is tied to Russian negotiations to take over 100 percent control of Soviet-era pipelines that carry Russian gas to Western Europe. The IMF is equally cool to Belarus. In early June, Belarus asked the IMF for $8 billion in aid. This money would follow $3.5 billion that the fund provided in 2009-2010. Many economists say President Lukashenko squandered most of this money on boosting salaries and pensions, trying to buy the December 2010 presidential elections. If the Belarusian president meets his goal of selling this fertilizer giant for $30 billion, he could keep the “Belarus miracle” afloat for a few more years. Given Belarus’ near total isolation, this may be the only route open to Lukashenko. European taxpayers are prepared to lend Greece $14,250 for each Greek man, woman and child. In contrast, Russia’s aid to Belarus amounts to $84 per person. The difference boils down two intangibles that economists like to talk about: goodwill and brand. 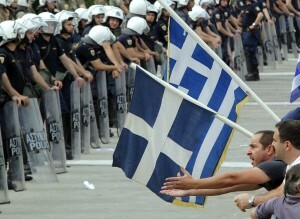 Europe loves Greece because they love to go on vacation there. 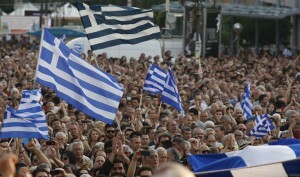 In 2008, 16 million tourists visited Greece, the vast majority visa-free. In contrast, a visa to Belarus costs around $150 and is only issued with an invitation from an accredited organization within Belarus. At last count, Belarus ranked in 161st place worldwide for receiving foreign visitors – 91,000 in 2008. When I came here last December, there were no taxis at Minsk airport. I felt I had flown into a Slavic North Korea. Finally, after 45 minutes standing in the snow, I shared a cab into town with a nice young man from Lebanon who was here to meet his internet bride. Then there is the brand issue. Belarus has a very different brand. The Bush administration has come and gone. 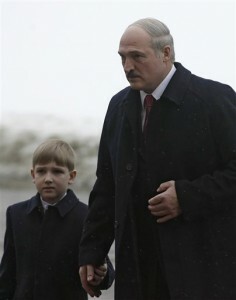 But “the last dictatorship in Europe” label has stuck to Lukashenko like a wet leaf on his shoe. He just can’t shake it. Not that he tries very hard. On Wednesday evening, his black shirted riot police were filmed physically throwing young men and women face down onto the steel floors of prison trucks. Their crime: walking on sidewalks in downtown Minsk and clapping their hands. Police also detained 16 journalists, breaking their equipment in the process. The Swedish Foreign Ministry complained that police manhandled and briefly detained their charge d’affaires, who was observing the protest. Only days earlier, Swedish Foreign Minister Carl Bildt had appealed for European attention to the economic plight of Belarus. Don’t hold your breath waiting for Washington, Brussels or Stockholm to approve an IMF bailout for Lukashenko’s Belarus. Russia Back on a Roll? Peter the Great built St. Petersburg as Russia’s “Window to the West,” opening up landlocked Muscovy to Europe. But from the East, here came China’s President Hu Jintao, looking like a Chinese emperor in a business suit. 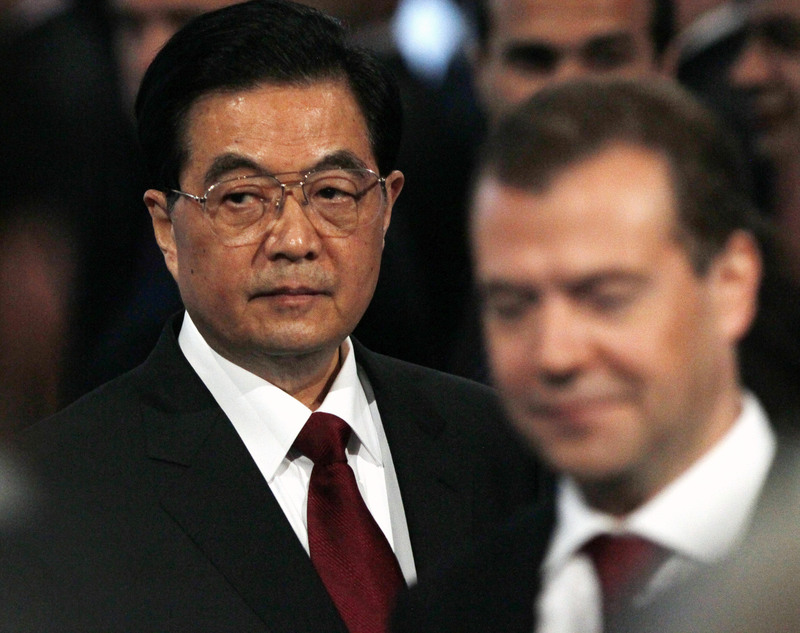 President Hu addressed rows upon rows of business suits gathered at the St. Petersburg International Economic Forum. This annual summer solstice gathering, sometimes called Russia’s Davos, is a good place to take Russia’s temperature. Despite occasionally chill winds blowing across the Gulf of Finland this weekend, it looked like Russia is getting hot again. Two years ago, when I last attended, the Kremlin was literally giving away tickets. In the midst of a frightening nine percent economic free fall, the government was desperate to have warm bodies filling the seats. If traveling to the Russia Forum is a leading indicator of foreign investment flows, the list of American executives coming to Russia’s “Northern Capital” was impressive. The roll call included the chairmen of Alcoa, Cisco, PwC International, Johnson & Johnson, International Paper, United Technologies, Morgan Stanley Bank, Bank of New York Mellon, Goldman Sachs Asset Management, and Ernst & Young. Also present were presidents of Caterpillar, Sony Music, and the Boston Consulting Group, and the CEOs of Citigroup and of Deloitte Touche Tohmatsu. “I am picking up a sense of optimism,” said Ed Verona, president and CEO of the U.S.-Russia Business Council, fresh from a half hour meeting between American corporate executives and Russian President Dmitry Medvedev, the forum host. The new faces at the Forum were Asian and were from high tech industries, said Andrew Cranston, Russia senior partner for KPMG. Cranston, another Forum veteran, said that Chinese and Indian investors now join American and European investors in treating the St. Petersburg event as the “must attend business event” for Russia for the year. Under the heading of “Expanding Technology Horizon” the rich list of panels indicated the Kremlin’s serious interest in diversifying Russia’s economy away from dependency on exporting raw materials to high tech, and in building on its historic educational and technical strengths. Foreign visitors to St. Petersburg found a city at its prettiest since the outbreak of World War I, almost 100 years ago. Russia’s ruling tandem, President Medvedev and Prime Minister Vladimir Putin, are local boys, having grown up in St. Petersburg. They have funneled billions of dollars into building a ring road around the city, restoring the city’s neo-Classical core, and building the world’s largest cruise ship terminal. 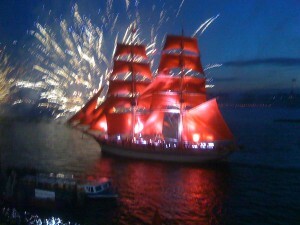 This weekend, five massive ships were docked, allowing thousands of foreign tourists to enjoy the annual White Nights festivities. On Thursday night, Sting, the British rocker, gave a public concert in Palace Square, in front of the Hermitage. On Saturday, it was the annual Red Sail fireworks marking high school and university graduations. Organizers had to wait until 2 am, when it was barely dark enough to unleash a spectacular fireworks display over the Neva River. As recently as 2007, most foreign investors skipped this annual shindig, preferring to attend a rival Russia investment conference in London. Then, in a shrewdly calculated move, the Kremlin sabotaged the London conference. Russian authorities waited until the maximum number of investor participants had paid their multi-thousand dollar attendance fees for the London conference. Then Kremlin aides yanked the rug from underneath the London conference: they ordered all Russian ministers and oligarchs to stay home. The London investment conference is no more. 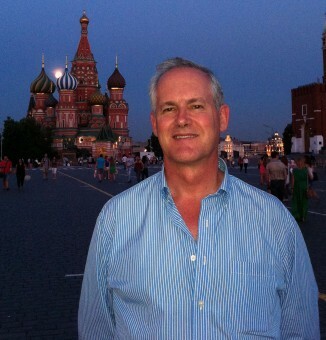 John Varoli, a former Bloomberg reporter in St. Petersburg, has witnessed the sea change over the last decade. This time, Bloomberg had news terminals strategically located around the Forum. It had two camera crews trolling for interviews, and a financial talk show hosted by Ryan Chilcote, a Russian-speaking Bloomberg TV reporter. Offered a spot as one of six panelists on a 75-minute technology panel, Peter Grauer, chairman of Bloomberg L.P., grabbed it, flying from New York to St. Petersburg. Russia’s Davos has come of age. Life: When will Russians live as long as Brazilians? When will Russian men live as long as Brazilian men? A Russian baby boy born today can expect to live 59 years and four months. That is two months longer than a baby boy born in Haiti. By contrast, a boy born in Brazil can expect to enjoy almost an extra decade of life – for a total of 68 years and 11 months. Twenty years after the collapse of the Soviet Union, Russia is now at the bottom of the BRICs, the economic group that includes Brazil, Russia, India and China. An Indian baby boy’s life expectancy, for example, is 67 years six months. 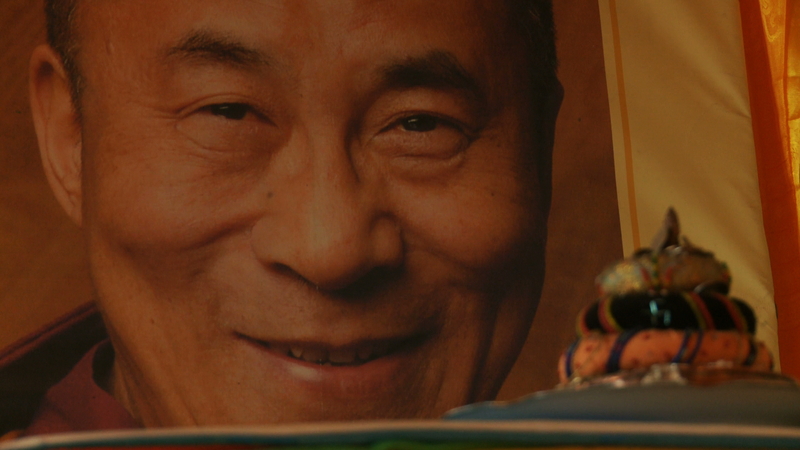 A Chinese baby boy’s life expectancy is 71 years and seven months. I was back in Brazil recently, after a 16 year absence. That 16-year gap sharply highlighted how Brazil’s health indicators had leapt ahead, while Russian indicators had fallen back. Take Saturday night at Pacha, a Florianopolis nightclub hopping with 1,000 young people, including my three college student sons. On entering, I wrestled with a strange word “chapelaria” – vaguely familiar from a different century. It meant hat check. In modern, Brazil this is where guys and their dates check their motorcycle helmets. Starting 1997, it is obligatory for everyone on a motorcycle to wear a helmet. In Russia, helmet and seatbelt laws are still widely seen as infringements on personal freedoms. Check one for Brazilian male longevity rates. Inside Pacha, the awful techno music and prima donna Australian DJ were compensated by skimpy female attire – and clean air. In 2009, Brazil’s three largest states banned smoking in enclosed public areas – legalese for what Brazilians call bars and restaurants. Many major cities, like Florianopolis, a booming resort and high tech capital, followed suit. At Pacha, the only smoking took place on the outdoor terraces, under the winter stars of the Southern hemisphere. When I left Brazil, in 1995, 35 percent of Brazilian adults smoked. Today, 15 percent do. About 20 percent of Brazilian men smoke. Compare that to Russia, where surveys indicate about 70 percent of men smoke. Check two for Brazilian longevity rates. On leaving Pacha at 5 a.m. (son James’ request), I was struck by the traffic. A long line of late model cars streamed down a highway for breakfast beach parties (some things never change in Brazil). Had this been Rio in the 1980s, half of the cars would have been crossing the double yellow line, flashing lights, and blowing horns. This time, no one tried to pass, no one speeded, and everyone in front seats seemed to wearing seat belts. In recent years, Brazil has installed thousands of highway radar checks, backed up by a computerized point system to penalize bad drivers. The result: Brazil has a highway fatality rate of 18.3 per 100,000 inhabitants per year, well below Russia’s rate of 25.2. Check three for male longevity rates. 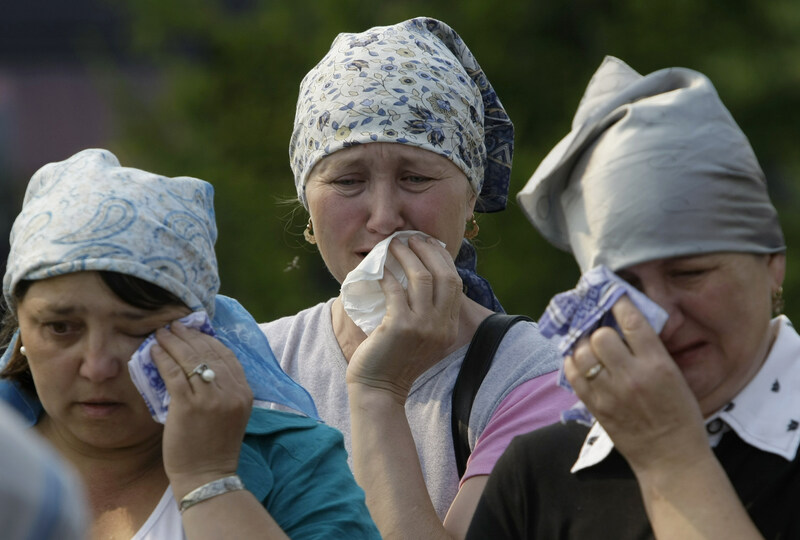 The impact of the post-Soviet privatization of Russia’s health system can be everywhere. Currently, 30 percent of male military draftees are rejected for poor health. Russian athletes increasingly fare poorly in international competitions. Although Russia has the world’s largest population living in snow and ice zones, Russia did not place among the top 10 nations for gold medals at the 2010 Vancouver Winter Olympics. Last month, at the International Ice Hockey Championship in Slovakia, Russia did not even win a bronze. 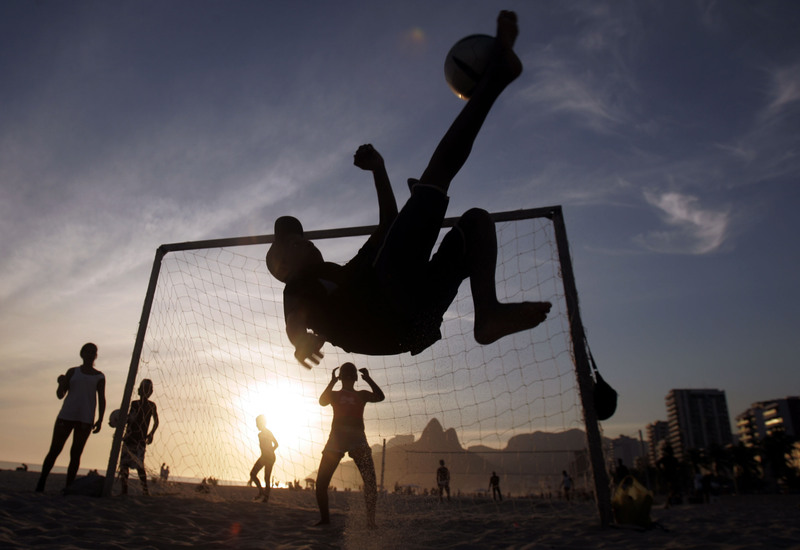 Optimism has long been the cliché trait of Brazilians. Brazil is the country of the future – and (the joke went) always will. But on my return to Brazil, I picked up something I had not heard of before: lots of Brazilians are moving back from the U.S. to Brazil, where they see more economic opportunity. 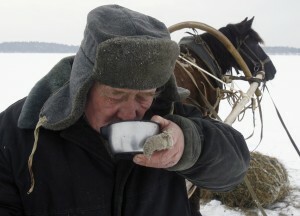 Pessimism hangs over many Russians. Since the economic crisis of fall 2008, about 1.25 million Russians are estimated to have emigrated, a number comparable to the exodus immediately after the October, 1917 revolution. Just as voting with one’s feet is a statement on faith in the future, having babies is another statement on belief in the future. In 1991, when communism collapsed in the Soviet Union, the Russian Federation had 148.6 million people, about 2 million people more than Brazil. In the 20 years since, Russia’s population has shrunk by 4 percent or 6 million. Brazil’s population has increased by 30 percent – or 44 million people, to 192 million today. And, as noted at the outset, these new Brazilians are expected to live longer, healthier lives than Russians. Many Russians look down on Brazil as an upstart nation. Maybe an intra-BRIC health check can serve as a reality check. Democracy: Can Russia Catch Up With Brazil? When will Russians attain the political maturity of Brazilians? When will Russians, like Brazilians, be allowed to elect state governors and big city mayors, and to have free, competitive elections for congress and the presidency? These questions are faintly offensive to many Russians. After all, Brazil was a mere Portuguese colony of banana trees and coconut palms at the time when Ivan the Terrible was forging the nucleus of a modern state in the snowy wastes of Russia. But fast forward five centuries and Russia and Brazil have roughly the same economic clout. Each has a $2 trillion economy. Both are founding members of the BRICS group of rising nations. The political comparison is timely as Russia embarks on an election year, electing parliament in December and a new president in March. I just returned from my first trip back to Brazil in 16 years. For a total of 10 years, from 1980 to 1995, I covered Brazil for American newspapers. These were the key years of Brazil’s transition from dictatorship to democracy. Russians, if they ever think seriously about Brazil’s political development, assume that democracy comes naturally to a New World society in the Americas. In fact, 150 years ago, Russia and Brazil were pretty much in the same place: slave owning societies ruled by emperors. The czar abolished serfdom in Russia in 1861. Slavery was abolished in Brazil in 1888, the last nation in the Western Hemisphere to do so. In Brazil, the abolition of slavery led to the overthrow of the emperor and started a 75 year succession of military coups, rule by oligarchic civilian parties, a fascist lite government during World War II, and, finally, the military-led “Revolution,” of 1964. For the next 21 years, a series of Army generals, dressed in business suits, led Brazil. Russia’s political scene today is very similar to the scene in Brazil when I first visited as a college student 35 years ago, in 1976. Russians today are ruled by what Latin Americans then called “dictablanda” – or soft dictatorship. The word “dictadura,” or hard dictatorship, would apply today to the regimes ruling Cuba or Belarus. As in military-run Brazil, Vladimir Putin’s Russia has a largely free printed press. But the electronic media — TV and radio — operate under heavy self-censorship. As in military-run Brazil, Russia’s national leadership manipulates elections and political parties to ensure its continuity in power. And just as Brazil’s military presidents never appeared in public in their Army uniforms, the office of Russia’s prime minister does not distribute historical photos of Vladimir Putin in his KGB colonel’s uniform. On Russian streets today, the slightest “unauthorized protest” is met with billy clubs and paddy wagons. In the latest example, on Saturday, uniformed and plainclothes police broke up an attempted gay rights rally, forcibly detaining about 30 people in front of the Kremlin. So how did Brazil make the big move from an authoritarian political system in the 1970s to the civilian democracy of today? Last Saturday, as Russian police were beating up gays and their sympathizers in Moscow, I was in Florianopolis, Brazil, lunching on shrimp stew with Roberto Schmidt, a lawyer and veteran of Brazil’s long, slow motion move to full civilian rule. As a reporter in Brazil in the early 1980s, I recall thinking that this proliferation of non-governmental groups, neighborhood groups, church groups, green groups, women’s groups, and independent trade unions was a boring story. For news value, how could this grass roots phenomenon compare with the pyrotechnics of civil war in El Salvador, Augusto Pinochet beating heads in Chile, and Maggie Thatcher rolling back Argentina’s occupation of the Falkland Islands? 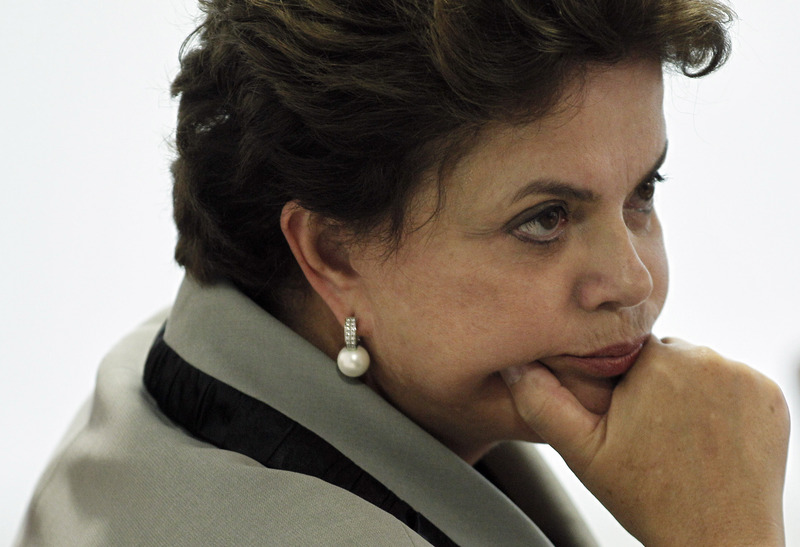 But for Brazil, this transition to democracy was The Story. On a political level, these non-governmental groups led to the formation of the Workers Party, Brazil’s first truly grass roots party. This is the party that overturned class expectations and put into the presidential palace Luis Inacio Lula da Silva, a former shoeshine boy whose formal education stopped at the fourth grade. But beyond contributing to the political success of the Workers Party, the expansion of non-governmental groups in Brazil contributed to a growth in the sense of citizenship among average Brazilians. Brazil’s economic growth greatly contributed to this process, pulling 23 million more Brazilians out of poverty and into the middle class in the last decade. In contrast, Russia’s authoritarian rulers seem frozen in 1976, scared of civil society. Under the guise of fighting “color revolutions,” they severely restrict non-governmental groups in Russia. They train Kremlin affiliated youth groups, Nashi, Young Guard and others, to wage street battles against dissidents and independent political movements. This is second nature to Prime Minister Putin, whose first 10 years at the KGB in Leningrad revolved around monitoring foreigners and combating local dissidents. Under Putin, Russia’s political system seems to be increasingly distant from civil society and popular participation. Last fall’s “election” of the mayor of Moscow is emblematic. One morning last October, the 10 million inhabitants of Moscow woke up to learn the name of their new mayor. Literally from Siberia, Sergei Sobanynin was an unknown to Muscovites. He was well known to the Kremlin: he was Vladimir Putin’s chief of staff. Presumably to give Muscovites a feeling of political participation, state television broadcast live the Moscow City Council vote on the Kremlin’s nominee. It had slightly more suspense than a vote in the communist days. It was 32 in favor, 2 opposed. The Kremlin’s arguments that residents of Europe’s largest city do not have the political maturity to elect their own mayor echo the arguments made 40 years ago by the Brazilian military about Sao Paulo, South America’s largest city. Throughout the 1970s, Sao Paulo’s mayors were appointed by the generals. Free, competitive elections were restored in the 1980s. 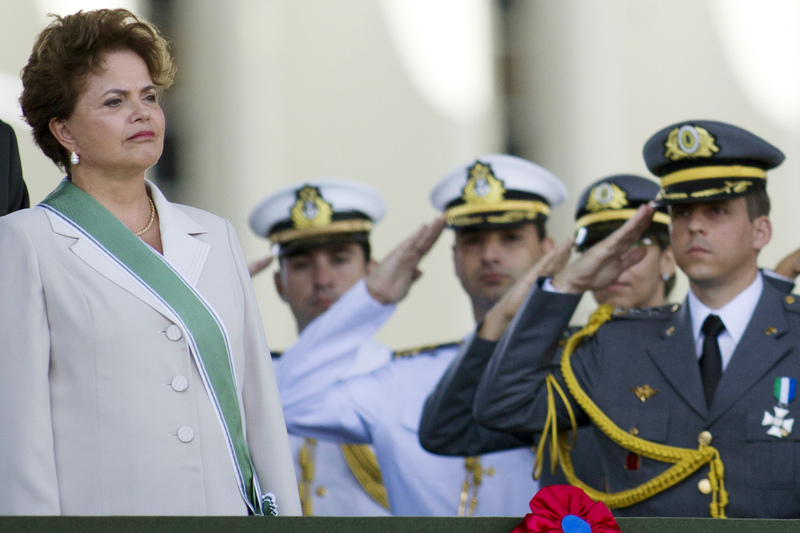 The question remains: will Russia follow the path of Brazil, and move to full democracy?